landscapes, marine scenes and floral studies. He was born in 1947, the son of Frank Hoar the cartoonist - "Acanthus"
represented in collections in England, Ireland and the USA. 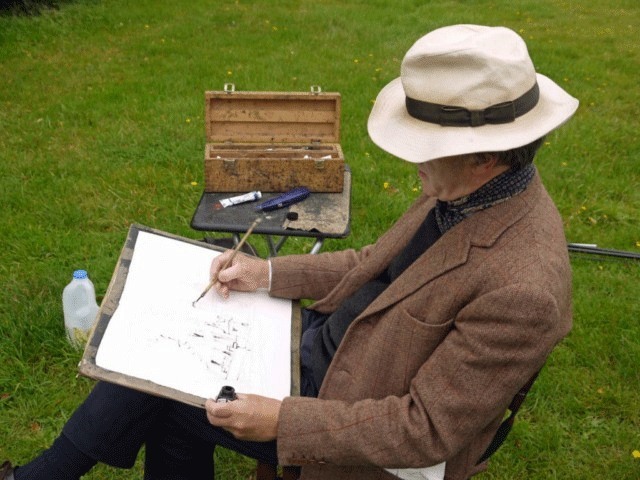 Charles in 2003 and in 2008 he issued a DVD called 'Simplifying Watercolours'. His instructional DVDs, made by Town House TV, have been best sellers for some years and are sold all over the world. In 2016 he represented Britain at the 2nd Qingdao International Watercolour Salon in China.